If you have ever known someone who had a boat stolen, you may already have discovered that the Hull Identification Number (HIN) did not provide law enforcement with a lot of details. This is now changing, as the National Marine Manufacturers Association (NMMA) is partnering with the National Insurance Crime Bureau (NICB) to build the first national database of vessel information. This data base will enhance USCG, law enforcement personnel and NICB efforts to prevent, detect and report potential marine thefts and insurance fraud — and, at the same time, protect boaters. The HIN provides basic information about a boat’s origins as well as its history. The new data also will include brand, model, year, length and other identifying factors. It can also contain component serial numbers, which can assist law enforcement with vessel identification. Prior to the creation of this boat database, law enforcement was required to contact a particular boat manufacturer to verify watercraft data. This new database streamlines that access and it also will serve the Coast Guard in its work to place reports and on-water accidents accurately. 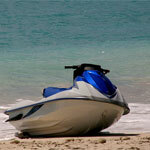 As for boaters, they may enjoy faster recovery of stolen vessels. Although the boat database is new, NICB has kept track of stolen U.S. boats for several years. Their annual reports shows that watercraft theft is mostly a seasonal crime, with June seeing the highest number of thefts (792) and December seeing the fewest number of thefts (281). However, in the top states for boat theft, boating is a year ’round activity. Those top states over the years usually include California, Florida, Texas, and North Carolina. 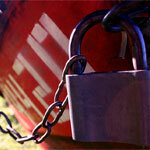 The total number of boat thefts in 2011 was 6,070, which is a nine-percent decrease over the 6,663 thefts reported in 2010. Part of the reason for that decrease could be NICB’s increased persistence with their boat theft prevention program, which includes brochures, posters, and checklists that boat owners can download from the NICB site in both English and Spanish. With this new database, boats will become closer to the automobile industry and we will have BoatFax vs. CarFax. Boat history that includes maintenance will benefit all boaters. 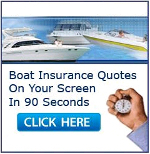 By deterring theft and helping prosecute the thefts that do occur, we all may see a drop in our boat insurance premiums. Our boat is documented by the U.S. Coast Guard and as such the hull number must be attached to the inside of the hull in 3″ numbers coated with epoxy resin. They have a kit for this. Don’t know why, but with all of the numbers/passwords we have to remember these days this is one number that seems to be permanently ingrained in my memory. Stealing a boat should carry the same penalty as stealing a horse in Texas. It would sure thin down a certain group of scummy bad gene people. May not stop it but it would certainly slow it down. I think this is a great idea, how do I participate? Boats are way too expensive to leave to some idiot to take and most of the time the boat gets destroyed by the time it’s returned. Just purchased an new boat. How does this work? The boats thefts should be determined as piratehood – on the seas lakes and rivers. I would like more information on how to participate and is there a cost involved? GREAT! THIS IS ONE OF THE BEST THINGS SINCE SLICED BREAD. Good idea, looking forward to estabishment of same.